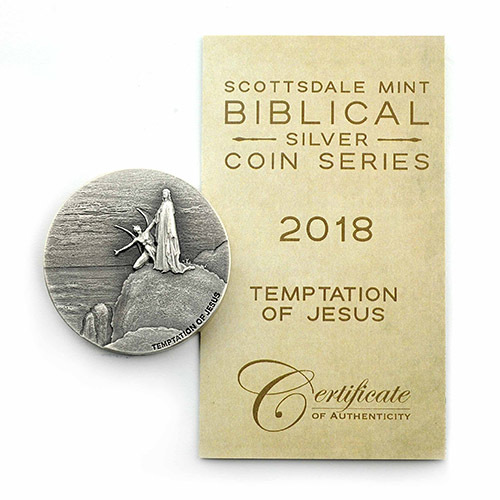 The Biblical Series of silver coins for sale from the Scottsdale Mint is a beautiful collection of 2 oz antique polished coins reflecting some of the most impactful lines of scripture from the Christian bible. Launched in 2015, the collection features six releases per year. 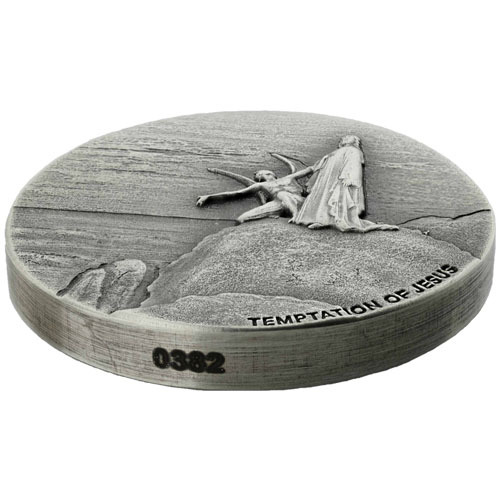 The 2018 2 oz Temptation of Jesus Biblical Silver Coin is the penultimate release of 2018 and is currently available to you for purchase from JM Bullion. Coins ship to you inside of commemorative bible-themed boxes with a numbered Certificate of Authenticity! 5th release in 2018 and 23rd overall in the Biblical Series! Limited mintage of only 1,499 coins! The reverse includes Gustave Dores Temptation of Jesus artwork. Antique polish with edge-lettered serial number! As detailed in the gospels of Matthew, Mark, and Luke, following his baptism at the hands of John the Baptist, Jesus made his way into the Judean Desert to fast for 40 days and nights. Near the end of this fasting, the devil appeared to him offering Jesus wealth and power if he would only kneel down before him and accept his authority. Jesus refrained from this temptation and ultimately went on to begin his ministry in Galilee. The Biblical Series of silver bullion from Scottsdale Mint captures the artworks of Gustave Dore and his depictions of biblical scenes in stunning detail on silver coins. Dore was a noted French artist, printmaker, illustrator, and sculptor. One of his greatest collections is his illustration for the Bible completed in 1866 that went on to enjoy a major exhibition in London in 1867. 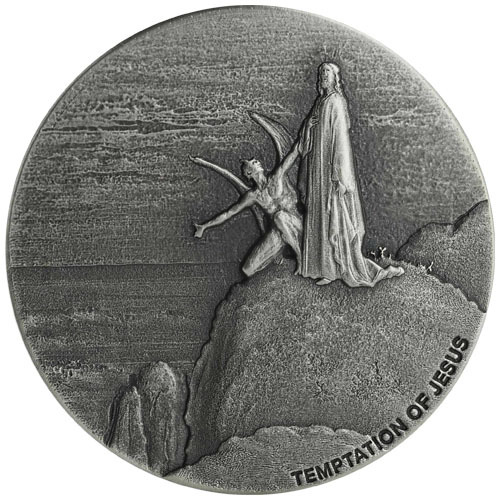 On the reverse of the 2018 2 oz Temptation of Jesus Biblical Silver Coin is Dores depiction of the moment Satan made his ultimate offer of evil to Jesus. During the height of his fasting, Jesus was led to a mountaintop by Satan and offered power and control over all of humanity if he would but kneel before Satan. 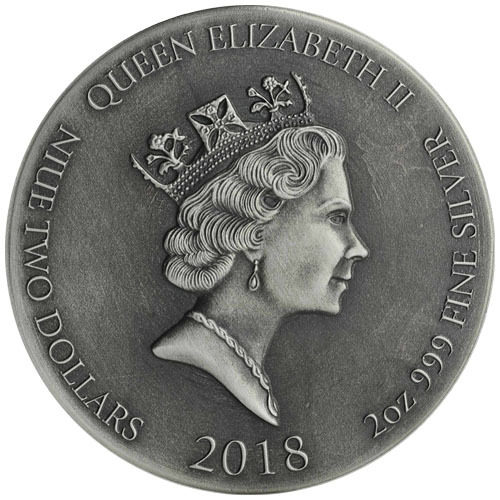 The obverse of all 2018 Biblical Silver Coin releases includes the right-profile portrait of Queen Elizabeth II. This series uses the definitive third-generation effigy of Her Majesty created in 1984 by Raphael Maklouf and widely regarded as one of the most ornate of Her Majestys portraits on coinage. These 2018 2 oz Temptation of Jesus Biblical Silver Coins are available to you for purchase online today with an antique polish. 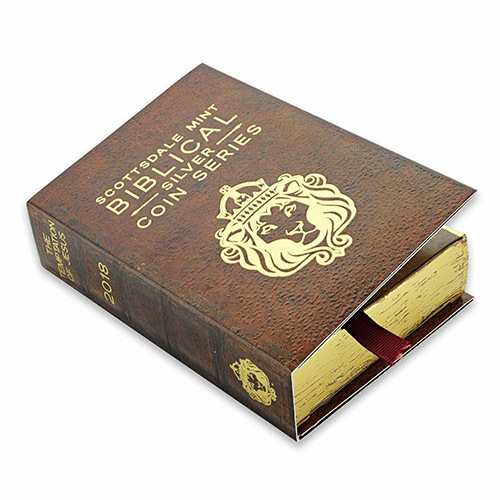 The coins in this series have unique serial numbers engraved on the edges and ship inside of bible-themed boxes. The Certificate of Authenticity includes the chapter and verse of Matthews gospel in which Satans temptation of Jesus occurs. We encourage JM Bullion customers to contact us with questions about silver coins at 800-276-6508. You may also connect with us online through our live chat and email address.